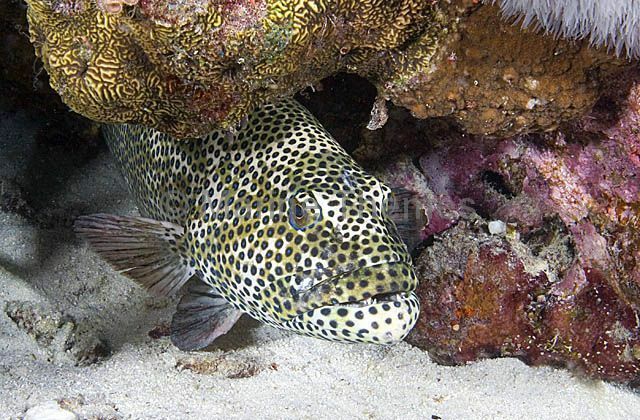 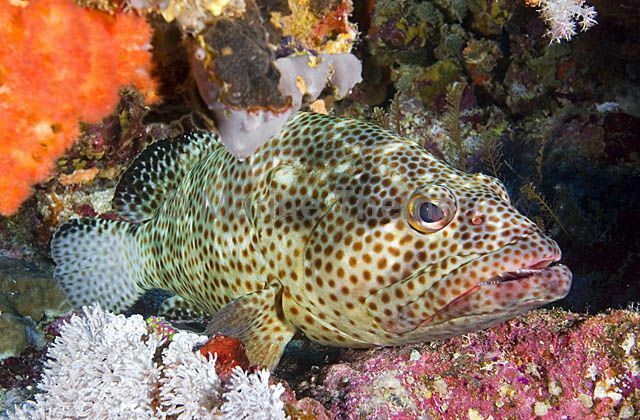 Honeycomb Grouper (Epinephelus merra) sheltering in coral reef overhang. 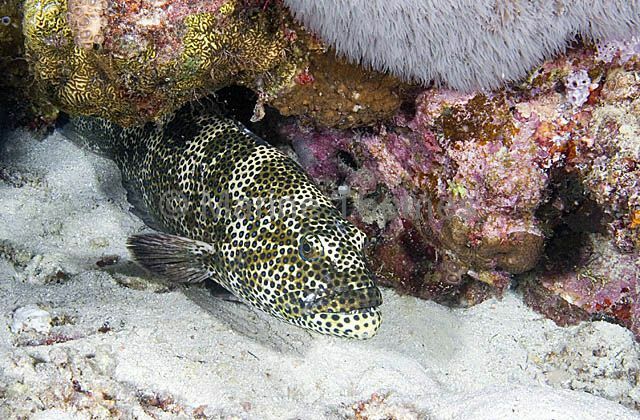 Honeycomb Grouper (Epinephelus merra) resting in coral reef overhang. 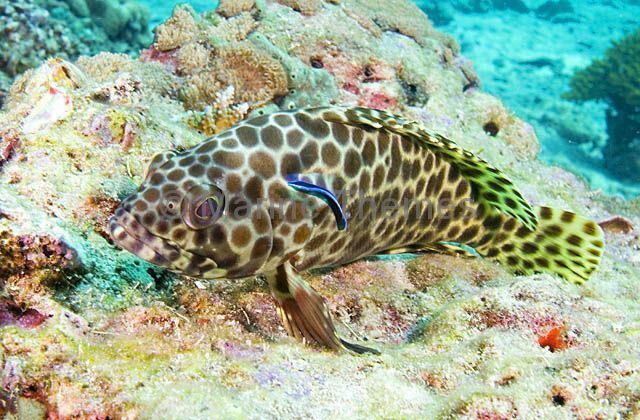 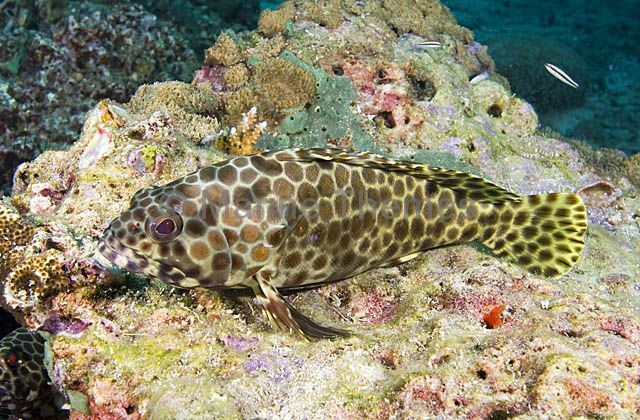 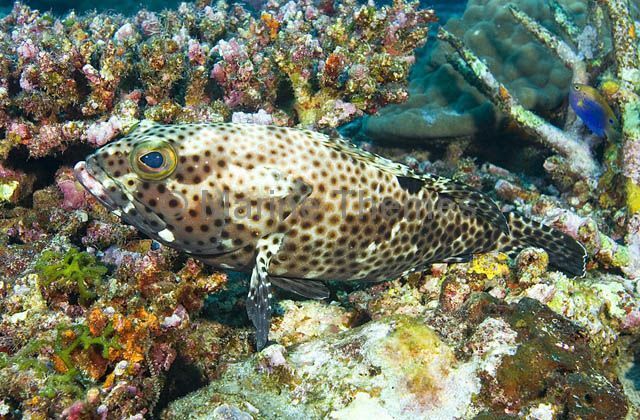 Honeycomb Grouper (Epinephelus merra) on coral reef.